Should you consider Sri Lanka as a digital nomad destination? I visited Sri Lanka a couple of years ago and thought it was one of the most amazing countries that I ever visited. There was something about the island culture, the food and the locals that really attracted me to the lifestyle there. I’ve personally been able to make local friends who reside in Sri Lanka and always tell me to come back. If only? Rather than sit and think about it, I decided to look into a way of making it happen. If you’ve wanted to visit Sri Lanka, but you’ve never been sure how to travel to and stay there, then this is the post for you. There are a couple of tourist visa options for visiting Sri Lanka. The first is opting for an electronic visa, which will allow you to stay in Sri Lanka for up to 30 days. (However, check the details on the immigration website). The fee will cost $40USD. If you want to stay in Sri Lanka for longer, you can actually apply for a 60-day extension that will allow you to stay in the country for up to 3 months. To do this, you will need to visit the Sri Lankan immigration office and apply for the visa in person. The fee to stay an extra two months will cost $30 USD. You can use the map below to find your way to the immigration centre. 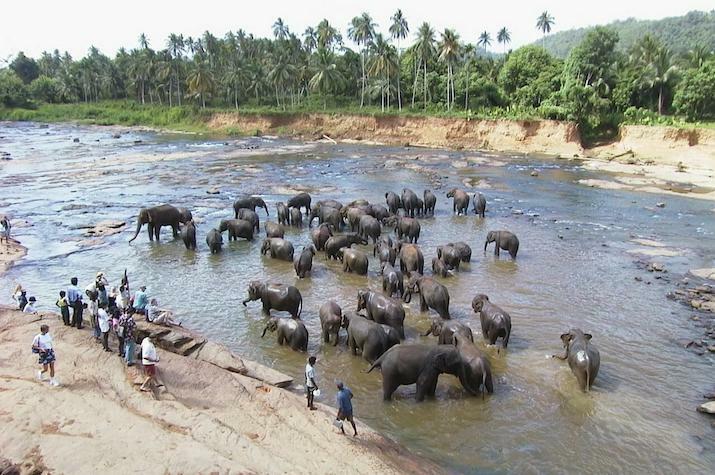 Sri Lanka is an island south of India’s Tamil Nadu. The best way to get there is by flying. At the time, we were able to book an inexpensive ticket from Bangkok to Sri Lanka. Depending on the route that you want to take (i.e. direct or through India or Malaysia); as well as your budget, prices will vary. At the time, we opted for a direct ticket to Colombo. When landing, you will actually be outside of the city in Negombo, which is slightly north of Colombo. From there, you can catch a bus into the city or opt to stay in Negombo and start your trip from there. Accommodation prices in Sri Lanka can vary. I usually recommend to budget up to $2000 a month maximum, however that is to get accommodation that is more high-end. A search for monthly rentals on Airbnb can help you find accommodation for as little as $400AUD a month, although the prices seem to average between $850-1200/month. You can use the following sites to find long-term accommodation deals. While you are there, you can also ask locals to recommend places to stay as the prices tend to be cheaper for walk-ins compared to online bookings. At the time we were there, we only had a tight timeframe of two weeks to see the country. Plus, we’d gone to a friend’s wedding, so I decided to hire a car with a chauffeur to take us to destinations in Sri Lanka. There were a couple of reasons why I opted for a private driver. The cost to hire the driver with the car was beneficial since we were in a rush and he knew the roads really well. Driving in Sri Lanka requires different driving skills. I wasn’t confident enough to drive on the roads, which are more chaotic than driving on Western roads. I was prepared to spend extra due to our time constraints. You will find Tuk Tuks everywhere in Sri Lanka. If you want to get around in Colombo, it is very easy to hail a Tuk Tuk, which can take you to your location quickly and easily. It is also relatively inexpensive. Just make sure to have them use their meter. If you are happy to navigate on the road at your own pace, then renting a local scooter is a good option. This is a particularly attractive option when you visit the quieter areas of Sri Lanka like Mirissa. Filling up the tank in a scooter can be quite inexpensive, thus making scooter travel an economic way to travel. If you need to get around, contact Kangaroo Cabs. They also have an app that you can download. There are cheap bus travel options in Colombo. You can view the timetable here. Taking the train in Sri Lanka is a great way to see the country at a steady pace. You can actually go from city to city and just jump off at a station as and when you feel like it. The trains aren’t super fast, so you can actually take in the experience of the country at a nice pace. The one-way fare is relatively inexpensive. Expect to pay around $16AUD for a 1-way fare from Colombo to Kandy for a first class berth. You can use this service to find train options in Sri Lanka. You can also read a more extensive travel guide on Seat 61. This is probably the aspect that deters most digital nomads from visiting Sri Lanka. There is internet connection across the island, but the connectivity varies from place to place. Obviously, the best connections will be in the more developed areas of Sri Lanka, such as Colombo or Galle. You can opt for a USB router and load it up with data. This will give you more freedom for accessing the internet whilst you are travelling. Alternatively, you can take advantage of the tourist pack, which provides up to 40GB for 1999Rs (approx. $17AUD). Things to do in Sri Lanka. If you want a new sense of adventure, you can’t really go past what Sri Lanka has to offer. Whether it is living the city life in Colombo or chilling out by the beach in Mirissa or heading to the tea farm area in Kandy, there will be something for you. One thing that I can promise you about Sri Lanka is that you will get the opportunity to take several photogenic pictures during your travels. The nature and the vast and vivid colours will jump out in the shots that you will take. If you are active with your DSLR Camera or if you enjoy posting on Instagram, you will get several opportunities to take beautiful snaps during your travels. Get some inspiration with the video below. 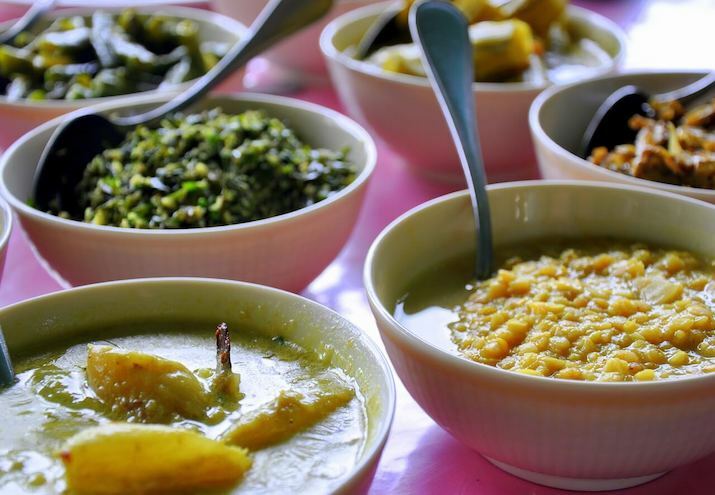 There is an abundance of food that you must try while you stay in Sri Lanka. There are several delicacies that are infused with coconut, local spices and intrinsic aromas that you will only find on the island. Sweet, salty, mains, entrees, desserts, you name it. The best bet is to follow the recommendations of others. You can’t really go wrong by following the recommendations from Yamu. Expect to pay 300 Rupees for an inexpensive meal and upwards. I’ve provided some other useful links that can help you with planning your stay in Sri Lanka. Should you be a digital nomad in Bali? In 2016, my wife and I decided to fly to Bali and stay for 2 months as digital nomads. The opportunity would allow us to explore the country, as well as live as locals and stay in a location long enough to embrace the culture and the lifestyle. It was an interesting experience. And what was more surprising was the cost to do it. I’m an Australian citizen. And prices to travel from Australia to Bali vary depending on where you travel from. It can cost less than $100 if you travel from Darwin, however you can pay upwards of $400+ if you travel from other Australian airports. In our case, we travelled from Brisbane. The cost of living was much cheaper than I expected if you travelled with the Australian dollar. If you travelled with currencies such as the British Pound or the American Dollar, your purchasing power in the country would be much stronger. How did we plan our stay in Bali? We’d arranged to stay in 2 places. The first was in Ubud in Bali. 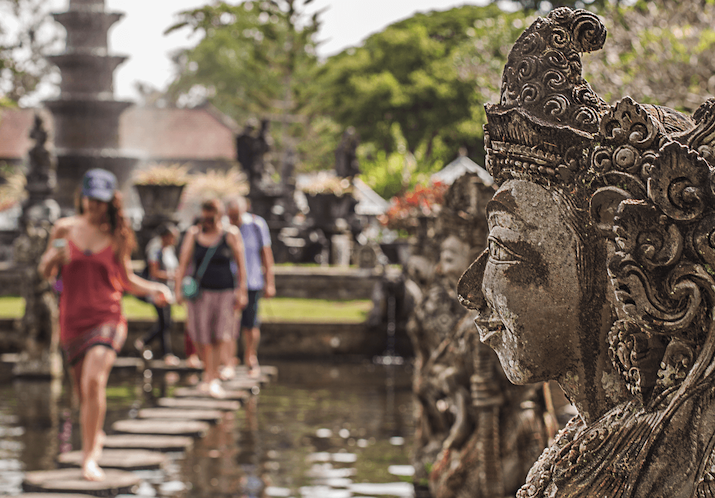 (I’ve previously written a post about living as a digital nomad in Ubud) The second place was in Denpasar, the capital city of Bali. The two cities offered two different types of experiences. We actually stayed a 30-minute motorbike journey outside of Ubud. It was in Gianyar, which is quiet and we were surrounded by several rice fields. We were able to get studio accommodation, which cost approximately $900AUD/month at the time. This was inclusive of bills. In Australia, unfurnished accommodation will cost at least $300 a week in Brisbane and more in the other major cities. When you factor in the other lifestyle costs, you will easily spend more than $2000 each month to cover the basic living costs in the country. 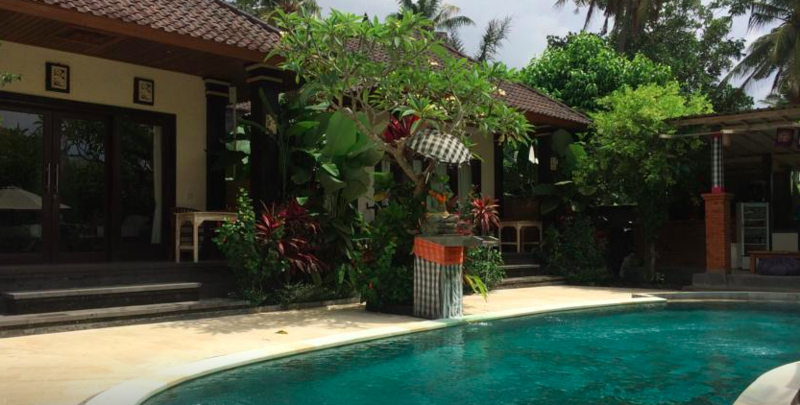 Below are pictures of the Villa that we stayed at and a map of the distance from central Ubud. Here is a video of us during our stay. The owner of the villa installed a pool and now serves breakfast as a part of the deal. I found one deal for two people staying in one villa costs $1104 AUD. You can click here to calculate the rough cost of a booking. Where we stayed was quiet and tranquil. At the time, it had a pond and an oasis garden. The villa now has a pool. It was also very safe. Food in the local area was very, very inexpensive. However, we did notice that it was difficult to get fresh fruits and vegetables, which did affect our energy levels. Unfortunately, the internet connection at the property wasn’t that great. It was a common thing that we found in Bali. We actually had to travel to the gym, where we paid a monthly fee to access a quick and reliable internet connection. This affected the productivity for working as a digital nomad. We did work around it, but in hindsight, it would have been better to find accommodation that was closer to the centre of town (such as closer to the Monkey Forest) and have an internet connection that was much more reliable. A the time, I was doing more writing work; so I was fairly unaffected. However, if you require an internet connection to complete the work that you are doing, then the downtime will severely impact your productivity and you may need to consider being in a place where there is good internet accessibility or even considering a co-working space in Ubud. Denpasar was an interesting place to be located. It is a major city with alot of traffic and alot of noise. It’s not until you are in the city that you will start to notice some of the things that may affect you as a digital nomad. We stayed next to one of the main roads and as soon as it was early morning or late evening, the traffic would be atrocious. The pollution in the city and the lack of infrastructure was also frustrating. The hotel that we stayed at was very nice on the inside, but was undergoing construction work from 7am until 6pm, with constant banging throughout the day. This type of thing could happen anywhere. But it’s less likely to happen in the built-up areas. The internet connection was very poor as well. It was almost impossible to get a signal. In the end, we had to find a coworking space and we found two that were nearby. (We ended up settling for the Sara Residence, which was nice and quiet.) The only issue was the mosquitos in the evening and they had to fumigate the area. But if you stayed in their accommodation, you could easily go upstairs. As for food, there was an open market 5 minutes away. We were eating vegetarian meals at the time and we could eat 2 full meals a day for less than $10AUD for 2 people. It was more than enough for us. The food at Sara was also affordable, but being a hotel they obviously charged a slight premium for their meals. But it was nice and a different experience as well. Additionally, the staff were all polite and it was a great experience being there. It definitely made our stay in Denpasar more enjoyable. It was also interesting to see that they had accommodation options in other areas in Bali, such as Canggu. We actually visited Canggu and the thing that stood out to us was the balance between the countryside and the beach, whilst being fairly close to the city. Canggu is surrounded by several rice fields and there are many villas, cafes and restaurants that are catered for foreigners visiting the area. The internet connection is more stable in the area. There are also coworking spaces nearby if people want to access the internet. (Although, you should expect to pay a premium fee for the service). You can head down to the beach and surf (or learn to surf). There’s also a bar that sits on the beach and street food vendors. There are endless rice fields. You can jump on a bicycle or a scooter and enjoy the surroundings of the rice fields. There is an expat community in the area. 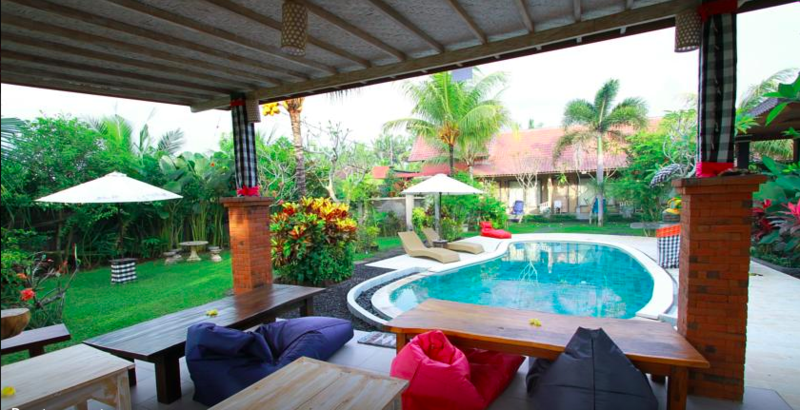 If you would like to meet other like-minded people, then you will find them in Canggu. Easy access to the tourist destinations. If you do want to visit the tourist areas such as Kuta or Seminyak, it isn’t too far away. You can head into the bar and club areas and dance the night away. There’s a more thorough guide that you can read on Goats on the road. Thinking about heading to Bali? Start planning. I’d recommend that you purchase the Bali Lonely Planet guide so you can experience everything that Bali has to offer. Another site that you should bookmark is TripCanvas, with its guides and activity suggestions written by locals. Then budget for $2000-$3000 a month for your stay so you can experience Bali without missing out on anything.